Ryan Shilling gets sandwiched between two defenders on his way to the basket. CARMEL—The way things were unfolding during the final minute of Carmel’s non-league game against visiting Hendrick Hudson last Wednesday night, it looked like t… Please login below or purchase a subscription to the Putnam County Courier to access this content. Bears keeper Heather Daley gets ready to attempt a save as Carmel’s Tom Jezic (22) approaches. 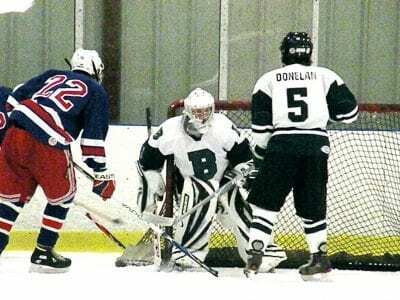 CARMEL—With wins over Nyack/ Tappan Zee and Brewster last week, the Carmel High ice hockey team has bounced back from an 0-3 start and now stan… Please login below or purchase a subscription to the Putnam County Courier to access this content. 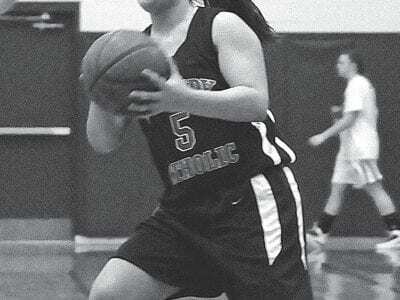 Right: Kennedy’s Amanda Viteretti was named the game’s MVP in a win over Good Council Sunday SOMERS—With their wins over Good Counsel and Peekskill, the Kennedy Catholic girls basketball team has now won five straight. The Gaels are now 6-2 wit… Please login below or purchase a subscription to the Putnam County Courier to access this content. SOMERS—Competing with a smaller team than usual, the Kennedy Catholic High winter track team found some success at the Grinch Games, hosted by Fordham University. The meet was made up of mostly schools from New York City and Long Island, with … Please login below or purchase a subscription to the Putnam County Courier to access this content. 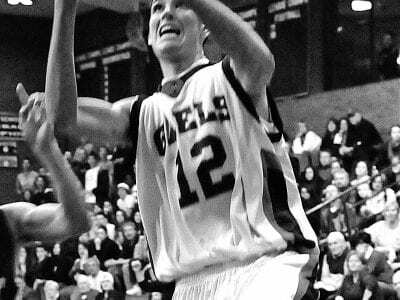 Ryan Hickey led the Gaels with 16 points in a win over Fox Lane last week. SOMERS—Ryan Hickey scored 16 points and grabbed five rebounds, and Conor Donahue added 11 points, to lead the Kennedy Catholic High boys basketball team to a 54-50 victo… Please login below or purchase a subscription to the Putnam County Courier to access this content. 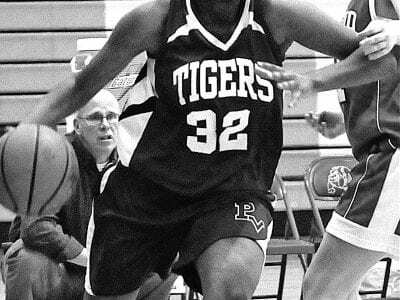 Carey Berry led the Tigers with 16 points in a loss to Lakeland Monday. PUTNAM VALLEY—The Putnam Valley high girls basketball team had a tall task ahead of them Monday at the Yorktown tournament. The Tigers played a strong Lakeland team and cam… Please login below or purchase a subscription to the Putnam County Courier to access this content.